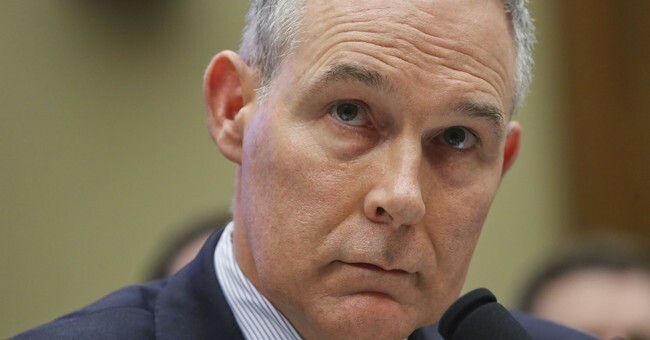 EPA Administrator Scott Pruitt has been a target on Capitol Hill the last several months on account of his travel fees, his condo deals, and reports he violated ethics rules by gaining jobs for his friends. He defended himself against these charges at a hearing before the Senate Appropriations subcommittee on the environment last month. Now, however, his daughter is in the interrogatory spotlight. The latest headlines suggest that Pruitt used his position as EPA chief to earn his daughter admission into the University of Virginia Law School. In the report, the Times suggests foul play after Pruitt got a letter of recommendation from Virginia lawmaker William Howell as his daughter was seeking a spot at the school. It was a juicy story, but it was missing a few key details, the most important being that the university received Pruitt's daughter's recommendation well before he was working for President Trump, on Nov. 1, 2016. Then came this massive correction. Welp. As you can see from the opening paragraph, the media has plenty of rumors and reports to piggy back off of already in terms of eyebrow raising EPA ethics, but Pruitt's daughter's education should now officially be off limits.